Six weeks without living out of a suitcase,TSA, packing, boarding airplanes, which might be a record for me. I’m on my way to Little Rock from Pheonix via Memphis. I’ll be at schools in Arkansas all week, then Harding University Friday night and Saturday, then I head to Texas next week. Marie woke up at the crack of dawn to drive me to the airport. She and her mother will head back to The Sea of Coetez early this week. I’ll join them in a couple of weeks…hitching a ride with Ruth and Al, a couple of very kind sunbirds, heading back south from chilly Wisconsin after a two week stay to visit family. I’ll catch up with them in Phoenix for the ride south and settle into the desert through most of February to write. I’m at the Peabody Hotel tonight. Talk about contrast and cultural shock! 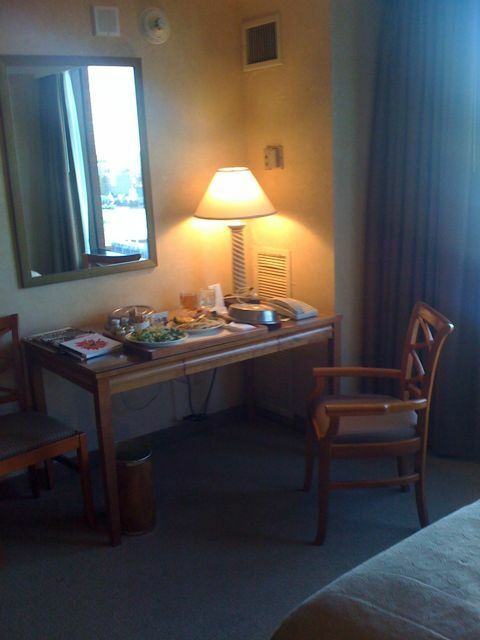 I’m in my beautiful room chowing down on delicious room service food working on a book. When I was in Pheonix I caught about 15 minutes of news. It hasn’t changed in 6 weeks. Michael Jackson, the ballon boy hoax, explosive underpants… It was like watching bad re-runs. I guess I don’t have to switch on the TV for another 6 weeks. Welcome to Arkansas! You will be at my school on Monday and I have to tell you that our kiddos are thrilled. Thank you for taking time to visit with us it really has a wonderful impact on our students. Thank you Teresa! I look forward to meeting everyone. Thank you so much for the amazing visit today. The students are PUMPED. I loved the part that writing requires what? RE…. VISION. Thanks for bringing reading and writing to life for the kids. I hope they enjoyed it as much as I did. Thank you! I had a great time. Thanks for coming me and my fellow classmates had fun with you thanks. Thank You so much for coming! You were great and your books are awesome! Thank you for coming to our school! I was so glad to meet you and hear about your books. Right now I’m starting to read I.Q. I know it will be an amazing book. Thank you Roland Smith for coming to my school! I loved it! You said so many cool things about where you’ve been! I got you to sign a book called IQ.